But Why Is It So Popular? Skyrim is an adventure game. But unlike most adventure games before it, the player is not limited by the boundaries of a predetermined path or even a story line. 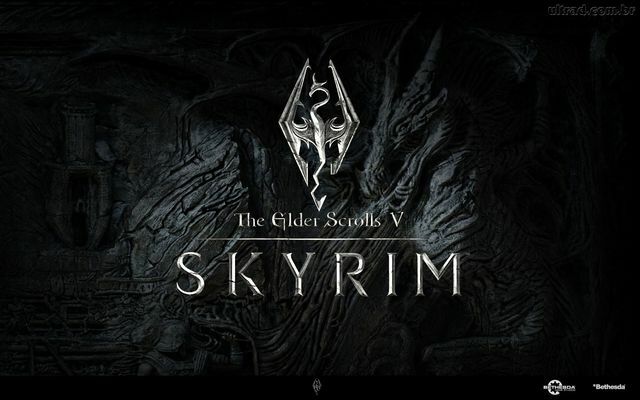 While there is a fulfilling and entertaining story in Skyrim, the player may choose to deviate completely and go almost anywhere while doing almost anything. The player is free to roam an enormous 14.3 square mile area, filled with people, places, and challenges. It is referred to as an “open-world” game, where the player is free to explore with the building blocks needed to create their own adventure. There are many factors that determine popularity. However, I believe that this is one of the reasons this game has withstood the test of time. The game ultimately satisfies the common human desire to explore. People play it to find something new, to experience something new, in the beautiful harsh terrain that is Skyrim. Whether or not players would get the same experience being outside in the real world is another question. But the fact that this game is so popular many years after its release is evidence that many people enjoy adventure. This particular game set an “open-world” trend. Many games today include large explorable areas, in an attempt to mimic what Skyrim was able to do so well. If given the chance, I suggest giving this game a try. If you do, be careful not to get too hooked! Thanks for reading! Leave a like if you enjoyed. Subscribe for more!